Nairobi Governor Mike Sonko Tuesday suspended a ban on matatus from the city centre. Sonko said the move is aimed at allowing further consultations among affected parties in order to find a lasting solution to the problem of congestion. “I have noted with deep concern the plight of Nairobi residents as a result of the ban, and hereby announce that the full implementation of this directive has been suspended with immediate effect,” he said. He argued that although the earlier directive to ban the matatus from the Central Business District was well intentioned, many innocent commuters, including senior citizens and those with health challenges requiring emergency medical attention, expectant mothers and children traveling with their parents, all suffered untold inconvenience, and this is regrettable. He said he met with the affected PSV operators with a view to agreeing an acceptable solution that has less negative implication on all affected. “During the coming days, I will continue to hold discussions with affected parties to find a way forward,” said Sonko. He added chocking traffic gridlocks have negatively affected all businesses in the county. These gridlocks have the impact of choking our socio-economic growth and the time to address this monster is now, he argued. 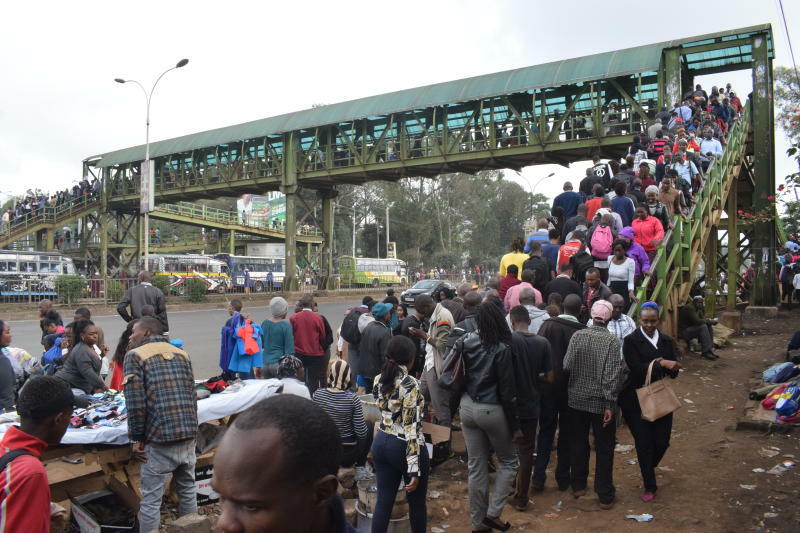 Most commuters were Monday forced to trek for a distance to seek for PSV services after the vehicles were banned from the CBD. This led to a heavy traffic jam on major entry points to the city as police manned them to stop the PSVs from entering. Efforts by some operators to lift the suspension did not bear fruits. This was after a Nairobi court declined to suspend the orders. Justice Pauline Nyamweya instead directed that the matter be served to the respondents before an inter-party hearing set for Thursday. The matatu operators argued that directive to drive matatus out of the city centre was ill informed and based on irrelevant considerations. The saccos, also argued that the ban may result in more harm than good as it may lead to unemployment and frustrations, hence the youth may easily be lured into criminal activities that the matatu employments keep them away from. The saccos said the decision does not consider that the operators still have valid road service permits from Nairobi County Government that allows them to operate in the CBD. Senator Johnson Sakaja has also filed a petition over the ban on Matatus from accessing CBD. Sakaja wants the court to quash gazette notice 4479 of May 12, 2017 issued by the County. Ban on Matatus NairobiNairobi Governor Mike SonkoNairobi Governor Mike Sonko Tuesday suspended a ban on matatus from the city centre.